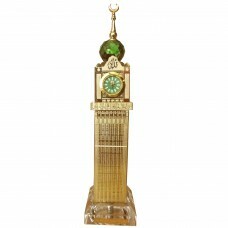 Mecca Clock Tower is a unique, useful and majestic masterpiece to gift your loved ones, clients, emp.. 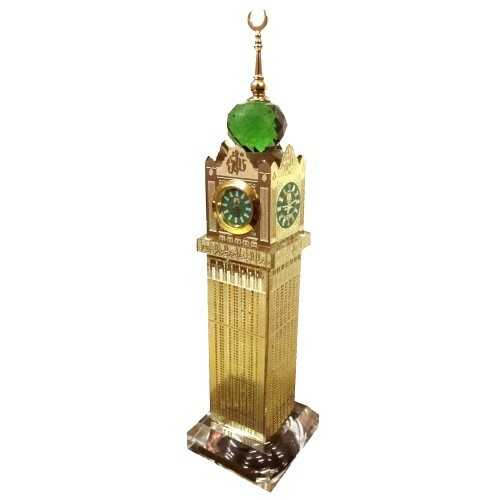 Mecca Clock Tower is a unique, useful and majestic masterpiece to gift your loved ones, clients, employees & business associates. 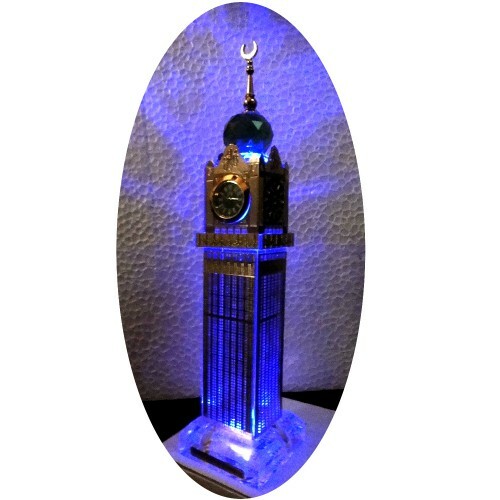 Its illuminated look due to built-in colour changing light really makes it spectacular and splendour one. 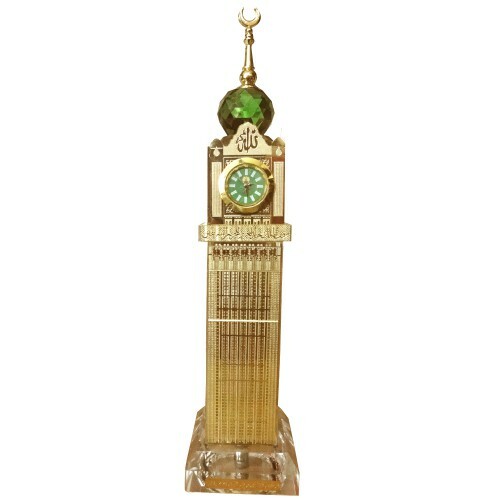 The whole body of this spectacular miniature of Mecca Clock Tower is made of crystal, further covered with engraved Gold Plated sheet, displaying the meticulous exteriors of this stunning monument. 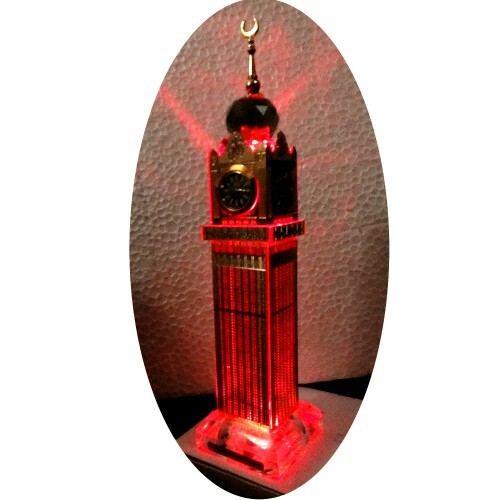 Clock is fully functional. 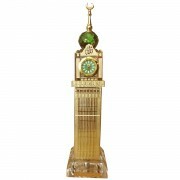 A majestic Table Clock, to adorn your office/study table or showpiece shelf at home. A priced possession for your collectible collection. A real royal gift for personal, festive, wedding and corporate gifting…comes in a presentation gift box.